Papamoa College in Tauranga is a landmark educational design in New Zealand. As well as being the country's first full secondary school where the 'learning commons' approach to school design is used, it received the highest GreenStar rating of any public secondary school when it opened in February 2011. 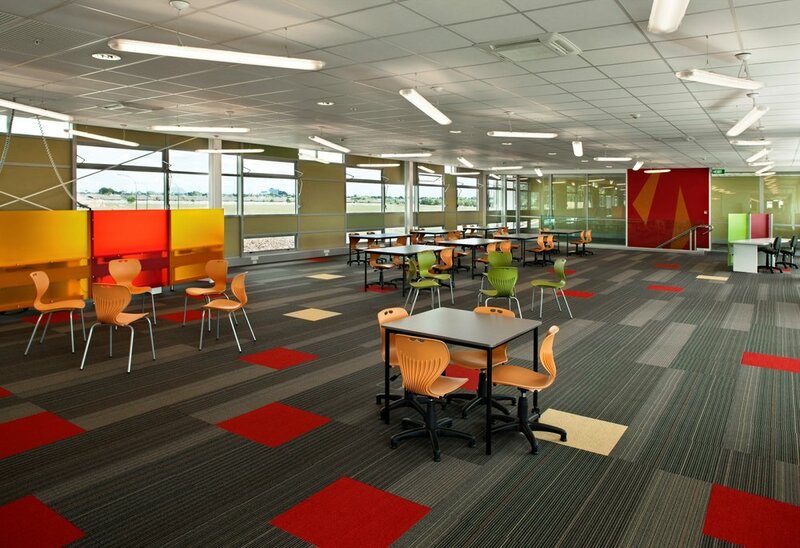 We designed the school on the principles of 'enquiry based learning' with a series of large open studios, or learning commons, each with 100 students and six teachers. Specialist spaces are also provided but designed to be used by small groups only when needed. The approach is used internationally with great success, as reported by the OECD, and has been found to be more closely aligned to the real world, making learning more authentic and engaging for students. We are particularly proud of Papamoa's GreenStar rating of 5, signifying New Zealand Excellence in sustainability. There is only one higher category: World Leadership. Sustainable initiatives in the building include balanced daylight, effective natural ventilation and the specification of sustainable materials in the construction of all aspects of the school. Students can monitor and study building performance indicators such as insulation levels, energy usage, rainfall collection and reuse, ventilation levels, natural light levels and more. The Ministry of Education has been visionary in supporting this kind of change in education in New Zealand and we have been privileged to have been entrusted with the innovative and ground breaking design work that this project deserved.